A leaked version of the new Facebook Home App has been revealed this week, by the Android Police website, who managed to get their hands on a system dump of the Facebook phone. The Facebook Home App pre-release software is only set-up to currently work with Facebook employee accounts but early investigation reveals that the Facebook Home App, appears to be a redesigned version of the Facebook app for Android. Facebook is holding an event later this week on April 4th, where the social network is expected to be reveal a Facebook phone. 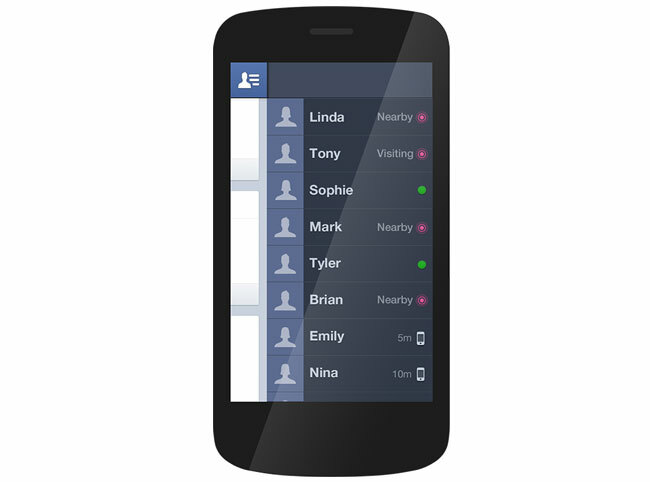 Which is thought to be a HTC smartphone running a custom version of Android, with plenty of Facebook features included. Its also thought that Facebook will make their new Facebook Home App software available via the Google Play Store as well as with HTC Sense 4.5 support. The new Facebook Home App has been designed to provide Facebook users with easier access to Facebook features, and status updates, rather than reinvent a new operating system. But as more details are revealed later this week by Facebook about their Facebook Home App we will keep you updated as always.